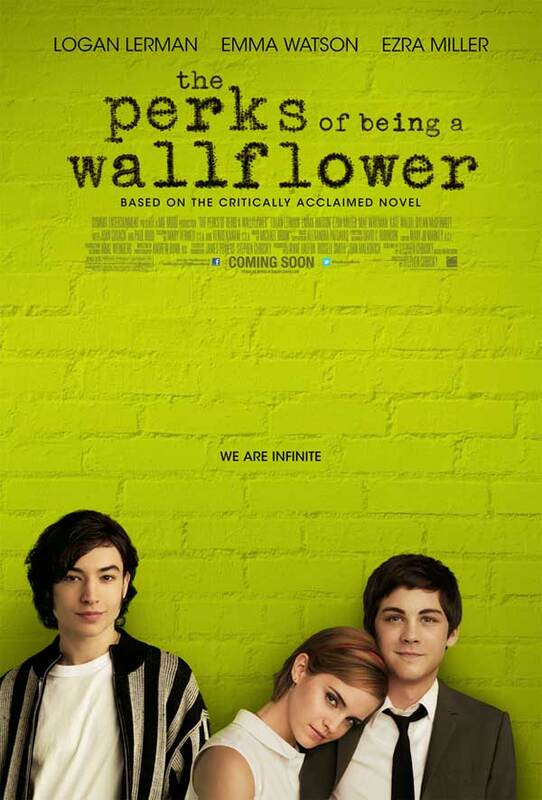 I know you've all been anxiously awaiting the trailer to this coming of age movie The Perks of Being a Wallflower. The film stars Emma Watson (Harry Potter) and Logan Lerman (Percy Jackson), and it was directed by Stephen Chbosky who also wrote the 1999 novel that the film is based off of. The story follows a shy and unpopular naive outsider high school student "coping with first love (Watson), the suicide of his best friend, and his own mental illness while struggling to find a group of people with whom he belongs." It actually looks like a really good movie. It's also nice to see Watson in a role outside the world of Hogwarts. The movie also stars Nina Dobrev, Mae Whitman, Johnny Simmons, Sarah Ramos, Ezra Miller, Erin Wilhelmi, and Landon Pigg. The movie comes out on September 14th. Watch the trailer, and let us know if you think it looks good!